Reason #348 that we love Spring…the return of the Eastern Tiger Swallowtail to the Inn on Mill Creek, our Bed & Breakfast near Black Mountain and Asheville, NC. 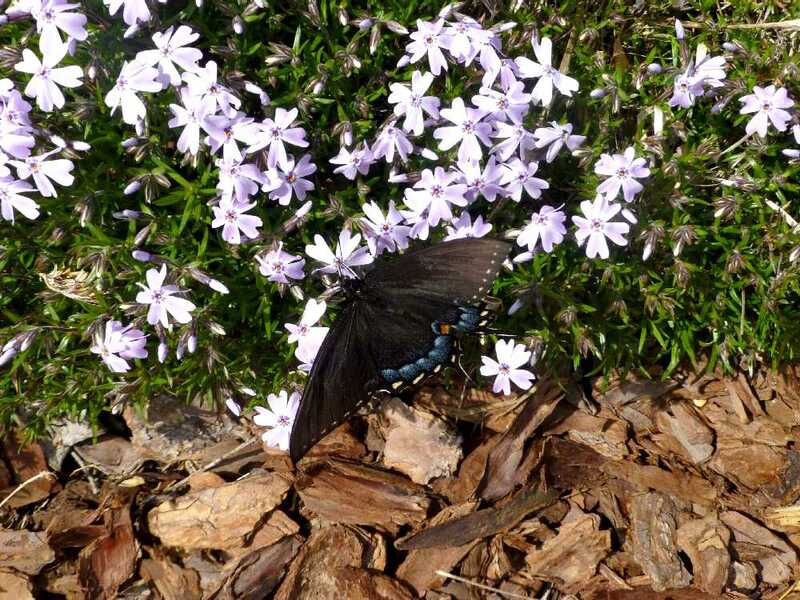 Lovers of nectar producing plants, these beautiful butterflies flock to our phlox as soon as the phlox start flowering. 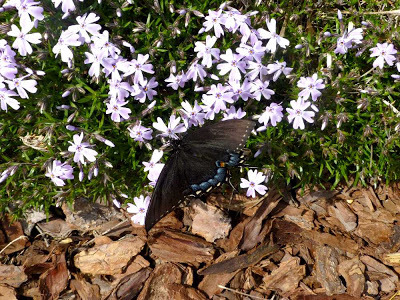 The creeping phlox, low to the ground (hence its name), blooms in early April and then the tall garden phlox bloom in the summertime, keeping the Eastern Tiger Swallowtails very happy. And they make us happy. 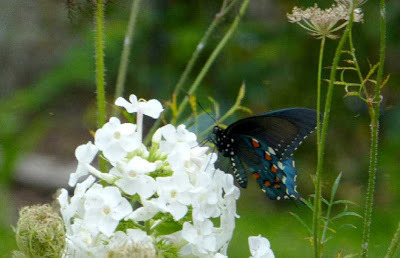 Happiness all around. 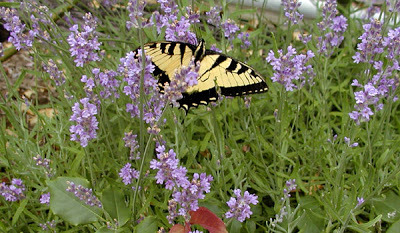 Cool trivia about the Eastern Tiger Swallowtail: the black ones are always female, while the yellow ones can be either male or female. And another reason to love Spring: when the Swallowtails return, that means the hummingbirds aren’t far behind!